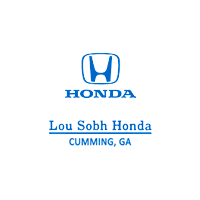 Lunar 2019 Honda Ridgeline Sport AWD 6-Speed Automatic 3.5L V6 SOHC i-VTEC 24V Black Cloth. Silver Metallic 2019 Honda Ridgeline RTL AWD 6-Speed Automatic 3.5L V6 SOHC i-VTEC 24V Gray Leather. Black 2019 Honda Ridgeline RTL AWD 6-Speed Automatic 3.5L V6 SOHC i-VTEC 24V Black Leather. Crimson Pearl 2019 Honda Ridgeline RTL-T AWD 6-Speed Automatic 3.5L V6 SOHC i-VTEC 24V Beige Leather. White Orchid 2019 Honda Ridgeline RTL-T AWD 6-Speed Automatic 3.5L V6 SOHC i-VTEC 24V Gray Leather.